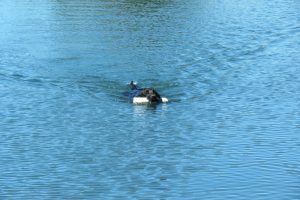 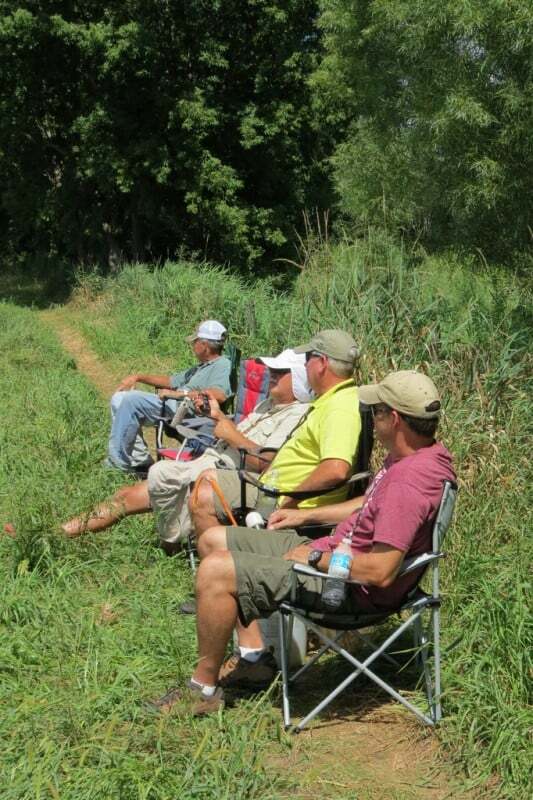 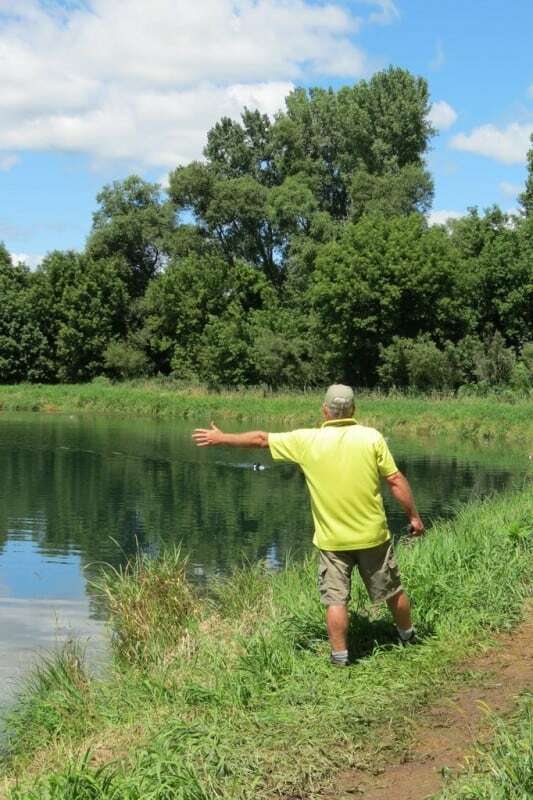 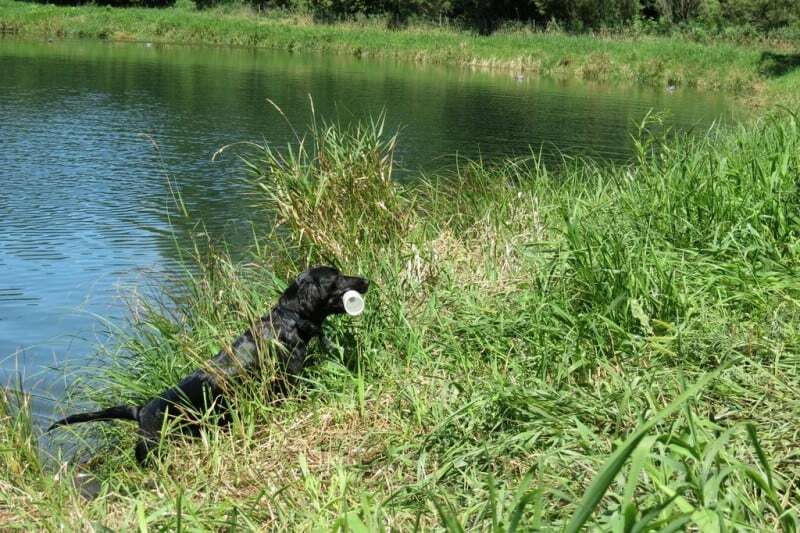 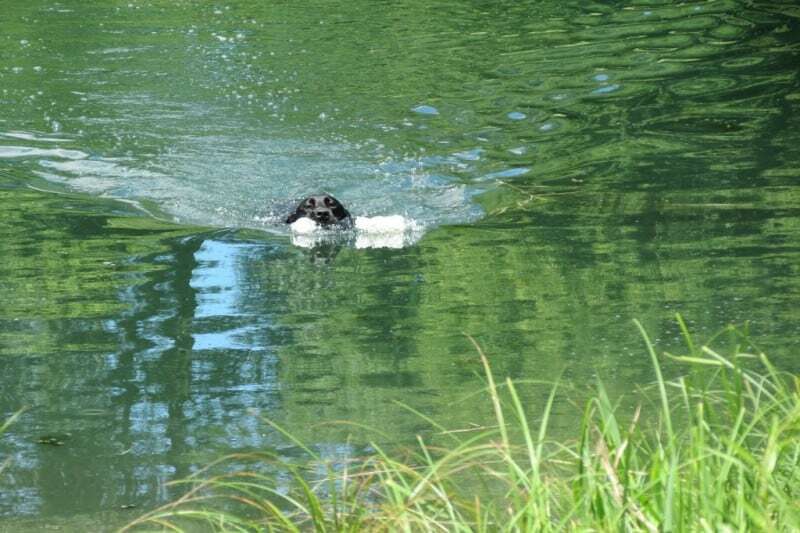 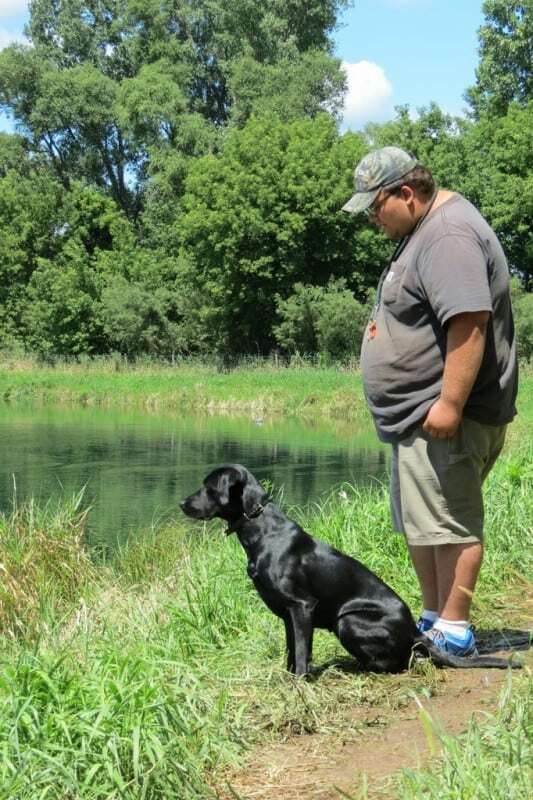 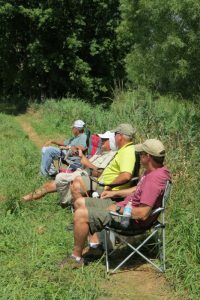 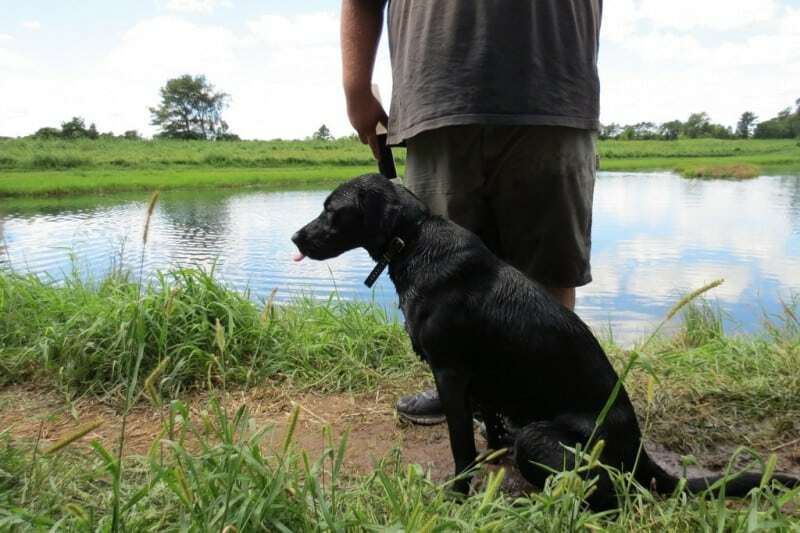 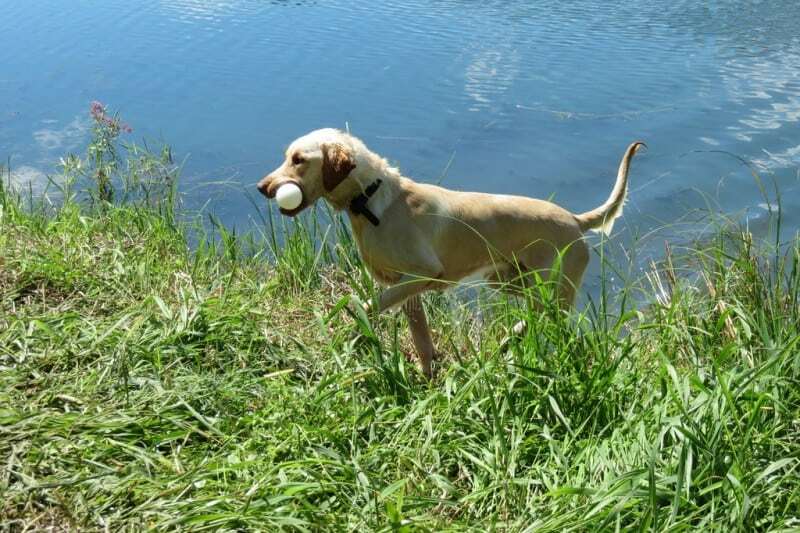 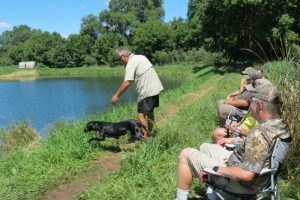 Stonehearth Kennel clients and their dogs used the pond to set up waterfowl hunting tests for the dogs. 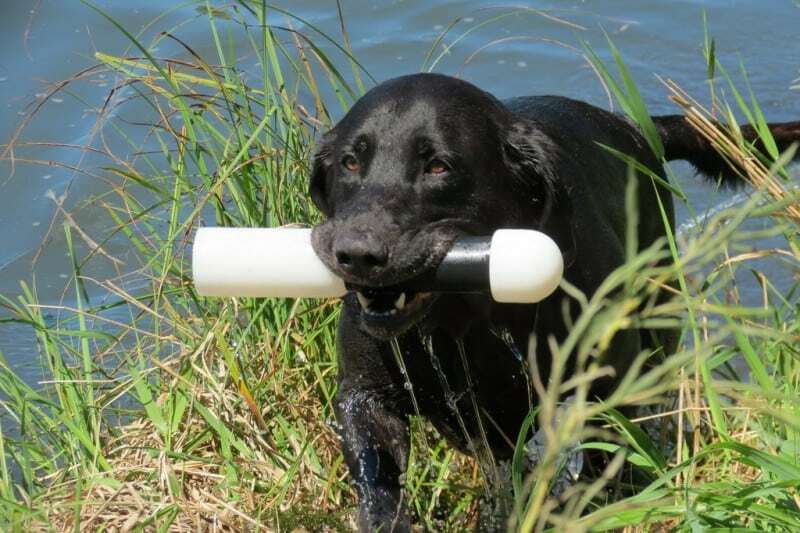 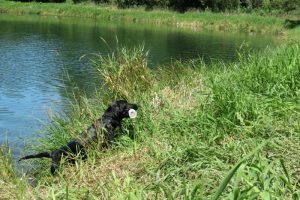 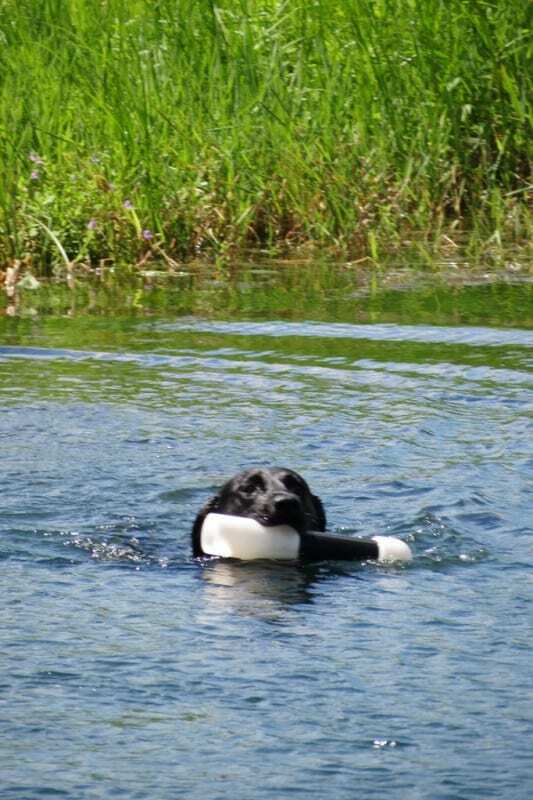 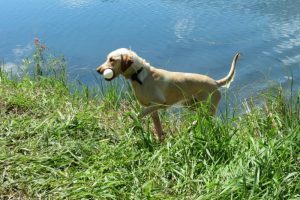 Duck hunting is soon in season and these dogs will be able to be handled to waterfowl that is not in the line of their vision. The dogs in these pictures have graduated from basic obedience and gun dog training at Stonehearth Kennels, LLP. 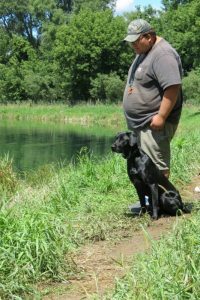 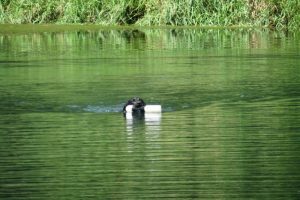 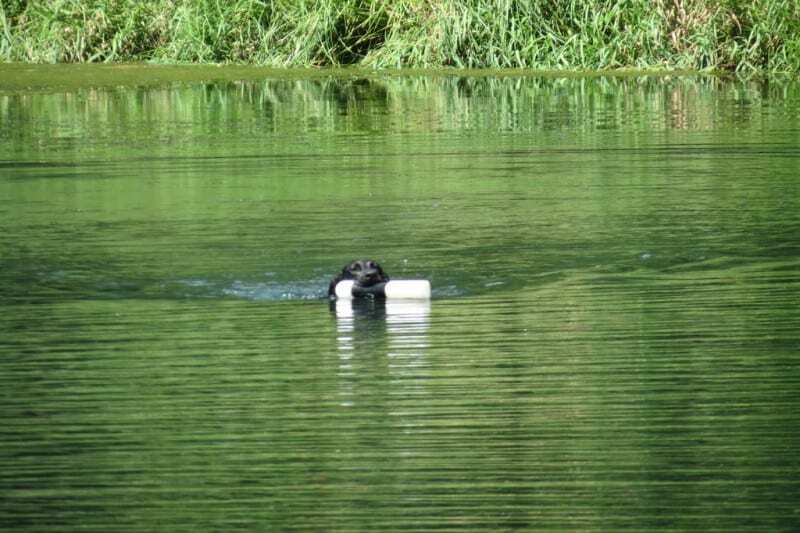 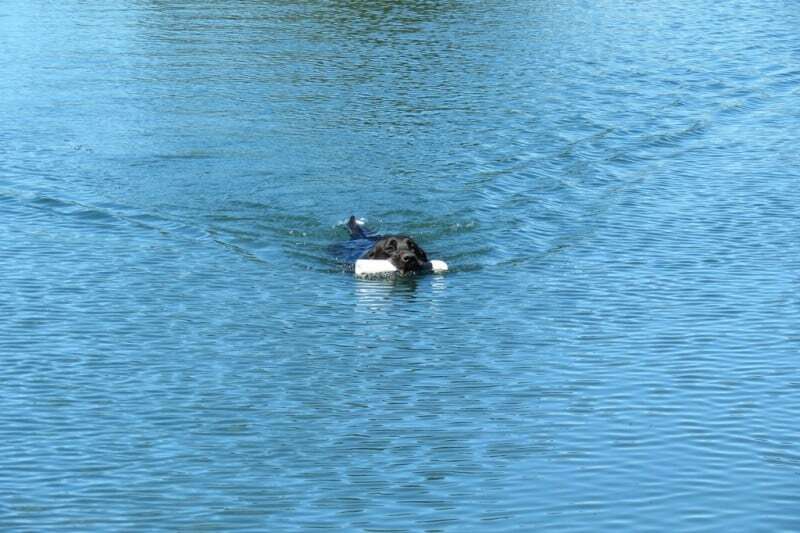 Dale Emery and his staff have worked since late spring getting the dogs ready to retrieve on land and water.